Steemshop launches to life with an upgraded system!steemCreated with Sketch. In just one month @steemshop has proven itself to be an active & steadily growing account where people can buy or sell anything they like using Steem or Steem Dollars. We are now ready to implement our Steemshop roadmap. In the @samstonehill account the announcement received 233 upvotes from the community. In the @steemshop account (for its very first post) we received 229 upvotes. 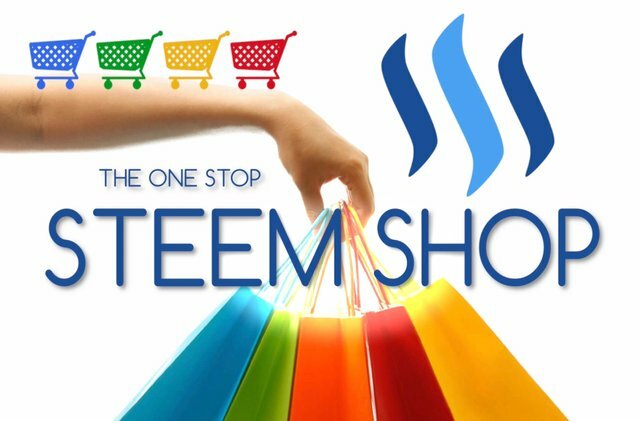 Steemshop was conceived as a Steemit based marketplace to buy & sell products & services using Steem or Steem Dollars. To improve the strength of Steem & Steem Dollar by increasing their use as a simple method of exchange. But now we see the wider implications of attracting new users to the Steemit platform through a dedicated Steemshop website. Initially the @steemshop accounts will offer generalised Buy and Sell pages. But ultimately we aim to expand into multiple categories by responding to the unique requirements of the community. @steemshop - this will be the main feed for all categories. @steemshopnews - weekly news updates, including features on the best products & services of the week, top sale of the week, milestones achieved and proposed future developments. 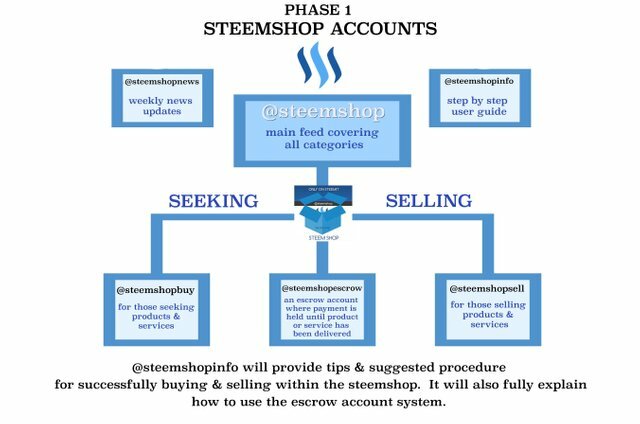 @steemshopinfo - in this account you will find our guidelines to successfully buy and sell in the steemshop. You will also find the answers to commonly asked questions. All aspects of the shop's functionality will be covered here and it is important that you consult this account before posting in the shop. 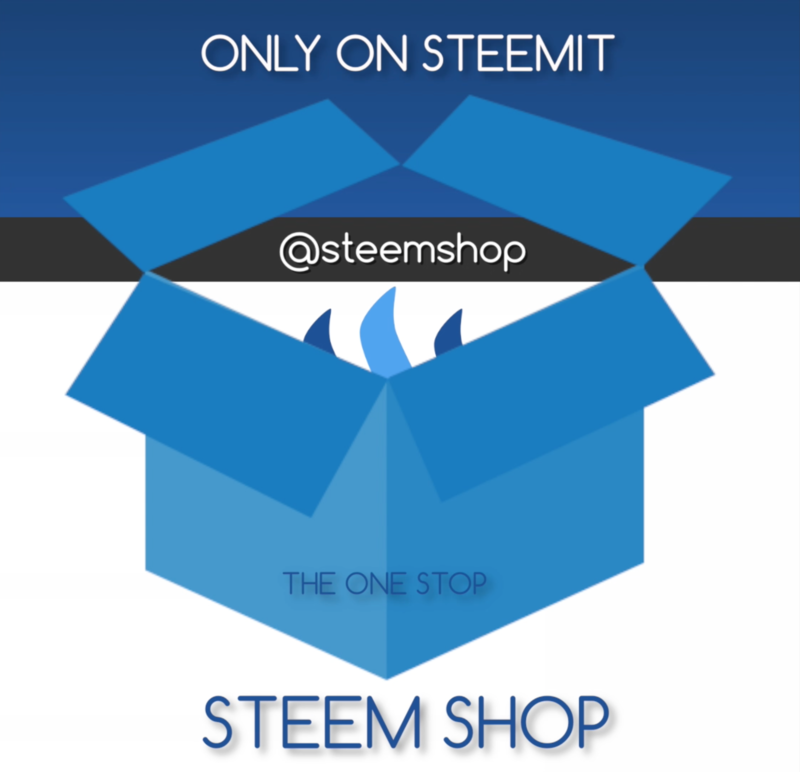 @steemshopbuy - posts from those who are seeking goods or services. @steemshopsell - posts from those who are selling goods or services. @steemshopescrow - the final account will be the all important escrow holding account. This account will be the intermediary account between the two trading parties, holding the Steem or Steem Dollars to ensure there is no foul play. The escrow account will be transparent to all. The seller can see that the payment has been deposited into the escrow account before posting the product. Once the buyer has confirmed receipt, payment will be released from the escrow account to the seller. Our escrow account will be overseen by reputable members of the Steemit community. As the marketplace evolves, so too will our escrow system. It is strongly advised that whenever a physical product is sent, it is handled by courier or registered post with a tracking number. @steemshop will not be held liable for any disputes. Stick to our simple guidelines listed in the @steemshopinfo account and you will be unlikely to experience problems. Here is a clear visual breakdown of the new Steemshop accounts and their functionality. As the marketplace expands, more and more categories will be required, fragmenting steemshop into hundreds of accounts. And this will be both confusing & impractical. Limit the @steemshop accounts to main categories and expand the marketplace into our full service website, listing as many categories as required and growing organically through demand. To create a thriving marketplace where products & services can be easily bought or sold using Steem or Steem Dollars. To build awareness around the great functionality of Steem & its blockchain as a method of payment. Instant and free transactions utilising simple username account keys makes this the perfect next generation coin for marketplace exchanges. To eliminate the need for selling Steem for Bitcoin in order to make our online purchases. To encourage the growth of other such platforms which utilise Steem and its blockchain. To introduce users of the Steemshop website to the Steemit platform where they can earn more Steem with zero financial investment. At this stage there is no funding required. We have an amazing team enthusiastically working on concept art, category development, marketing strategy and management of the resteeming process, required to get your posts into the correct Steemshop account as soon as possible. When the marketplace expands to a point where it is no longer feasible to easily display all categories on Steemit we will migrate to our dedicated Steemshop website. The Steemshop website will have simple functionality, high end visual design and a Steem/Steem Dollar payment system, all of which will aid the success of this unique marketplace. 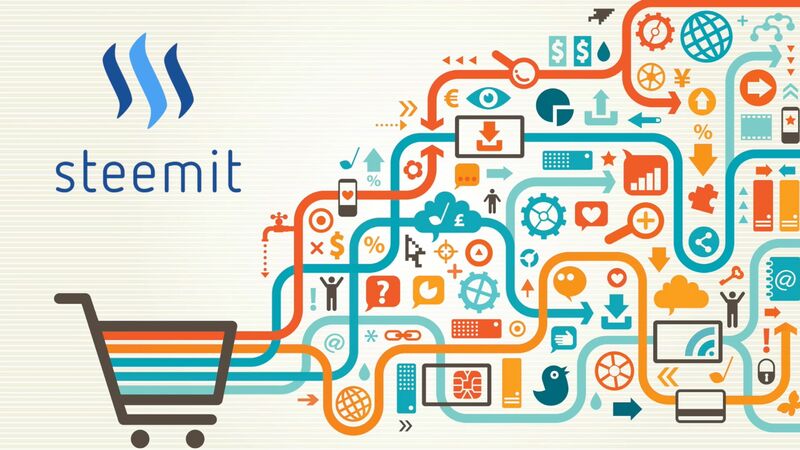 Once active on the Steemshop site, new users will be encouraged to increase their shopping potential by joining Steemit and making more Steem. The growth potential for Steemit is clear. We have prepared a roadmap which includes the launch of the Steemshop website. For now we would very like to keep this marketplace firmly within the Steemit platform. How do I start using Steemshop? Which Steemshop accounts should I be following to stay up to date? How do I give feedback or suggestions to Steemshop? We welcome all suggestions from the community and are keen to hear your feedback in order that we can improve this service together. ...all of whom have been very helpful and positive about Steemshop's potential development. We would also like to thank those of you who have posted using the #steemshop tag over the last month. Let us work together now to build this concept into a thriving Steem powered marketplace! Location of item(s) - in order that delivery/shipping costs can be calculated. At this stage the buyer & seller must agree on method of delivery and be sure to keep all relevant documentation. @steemshop and associated accounts will not be held liable for any disputes. Be sure to use the #steemshop tag as one of your five tags and we will resteem you into the Steemshop. If you are seeking a particular item, be sure to give as much information as possible (ideally with photo references) and the price you are prepared to pay for it, in Steem and Steem Dollars. If we feel that you are missing crucial information we will not necessarily resteem your post into the shop. Instead, we will contact you, outlining what we feel to be missing and after you have made the adjustments, your post will be resteemed into the relevant Steemshop category. We also have a Steemshop feed in Discord where you will be automatically reposted in the correct category to ensure maximum coverage. If you wish to make donations to our amazing team please send them to the @steemshop account. The concept of multiple tags is confusing, it's a bit all over the place and the shopping experience on steemit is not good. There is also an escrow at the blockchain level so the escrow system you propose seems a bit backward. I think @steemshop is a good initiative but the way you are doing it is not going to get much traction. For example there is the market page https://steemit.com/market we could have the https://steemit.com/shop page. Thank you kindly for your extremely insightful comments. I would like to chat with you on steemit.chat if possible? @samstonehill Good work. This will be helpful to me and other people from my region, as PayPal has so many restrictions on our transactions and bitcoin fees are becoming way too high. "To eliminate the need for selling Steem for Bitcoin in order to make our online purchases." Or else its BTC BTC everywhere. This is interesting as I am a potter making handmade wheel thrown ceramics. Thank you I will try to learn more about this. Just follow the guidelines listed above when constructing your sales post... and away you go. Follow @steemshop :-) Good work. Supporting this all day! Loving the new improvements that we're having. Waiting for more news like this! It's a bit of a lengthy read this post, but we have really thought it through and believe Steemshop can be a great success. This is an incredibly exciting development! Are you working with Openbazaar? Their platform is quite developed already, and they are hopefully releasing version 2 of their platform soon. The biggest problem with Openbazaar is that it is only (currently) able to use bitcoin for trasactions and this is very limiting right now with the transaction delays and so on. It seems to me that integrating STEEM with that platform or since it is open source developing the Steem Shop platform with the Openbazaar platform would be a win/win for both groups. And a super win for anyone wanting to do decentralized business using crypto-currencies. Thanks for your enthusiastic comment. We are not currently working with Openbazaar but are most certainly examining all such platforms to inspire the creation of our own marketplace platform dedicated to Steem and Steem Dollars. Awesome concept! I would love to participate in commerce on this platform. Excellent! I appreciate yours, as well. Thanks! Hope to see you selling in the steemshop :) Or buying! Amazing update! Looking forward to giving you further feedback. Good idea and I wish it's gonna work. This is amazing! The more I dig into streemit the more good news and progress I run into - I love it. Thank you for your work, upvoted and followed!! It really is a great time right now - most would tell you other wise. Cheers to you, steemit, and the community! Looking forward to releasing an EXCLUSIVE music EP through @steemshop in the next couple of months! I could not be more excited about this. Great idea - I like to sell my own created german books. Is this a place for that kind of products? hi i want to try selling my indonesia - sumatra coffee..
Great! You should. Follow the guidelines, create the post and away you go :) I love coffee and I'm not too far from Sumatra here in Bali, so you never know... you may already have a customer!